Edward D. Vogel is a partner in the Business Trial Practice Group in the firm's San Diego office. Mr. Vogel's practice has encompassed a variety of litigation areas with a focus on business litigation. Mr. Vogel has handled significant and current issues in the areas of creditor's rights, mortgage banking, lender liability, healthcare, antitrust, receivership, unfair competition, commercial law and products liability. He has handled numerous class actions and has been responsible for arbitrations and trials in the state, federal and bankruptcy courts, as well as appeals in both the state and federal appellate courts. 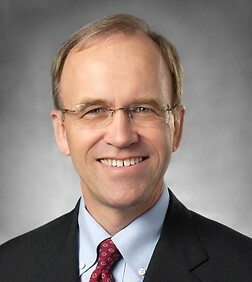 Mr. Vogel has handled appeals which have resulted in published opinions regarding lender practices in the mortgage industry, the automatic stay in bankruptcy proceedings, lender liability, good faith settlements in the products liability area and attorneys' fees awards under the private attorney general doctrine. Panelist for a CEB program on the Benefits of Receiverships.